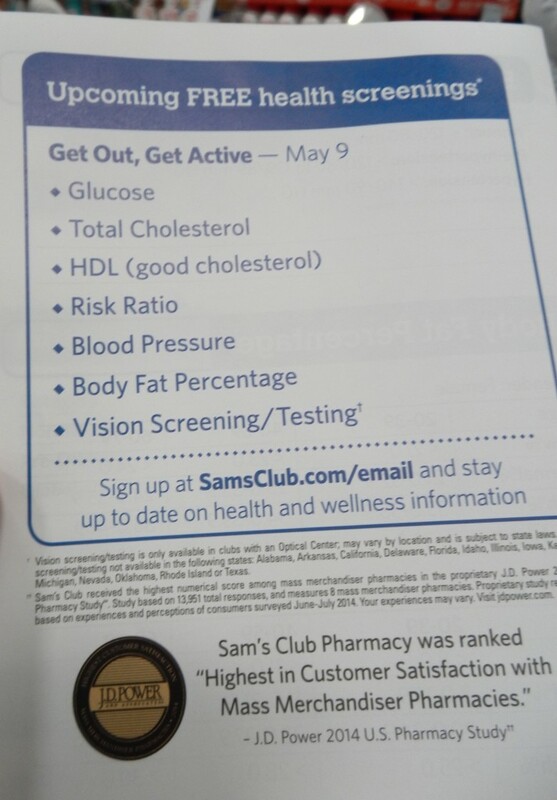 Last week I was making my usual “Sam’s run” and stopped at their free health screenings to see what all was involved. This is a light load for me. Usually my basket is overflowing and I have the bottom full too. 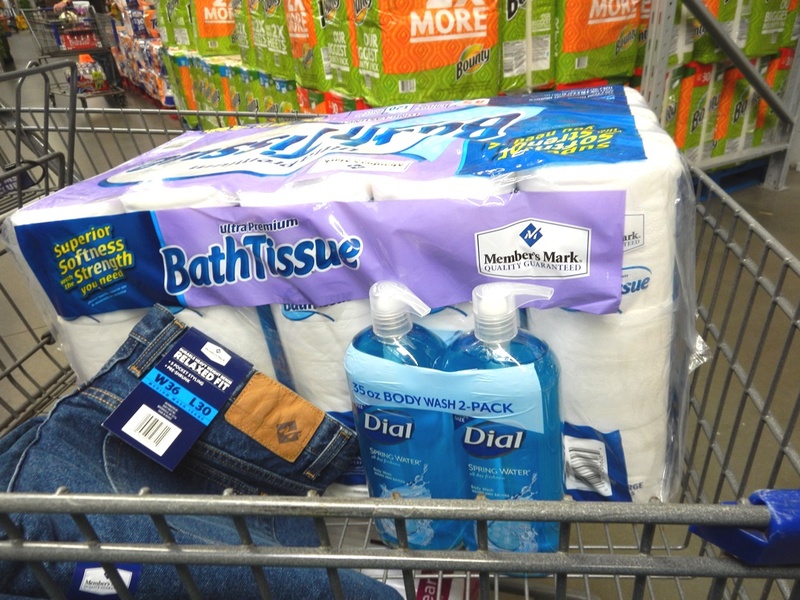 We get household supplies, health supplies, food and clothes at Sam’s Club. With the ability to buy in bulk, we have the convenience of not having to go back every week to replenish our stock. I knew that the health screenings demo would be there that day so I perused the online magazine before going so I could get a feel for what I would be seeing and what the health programs were all about. 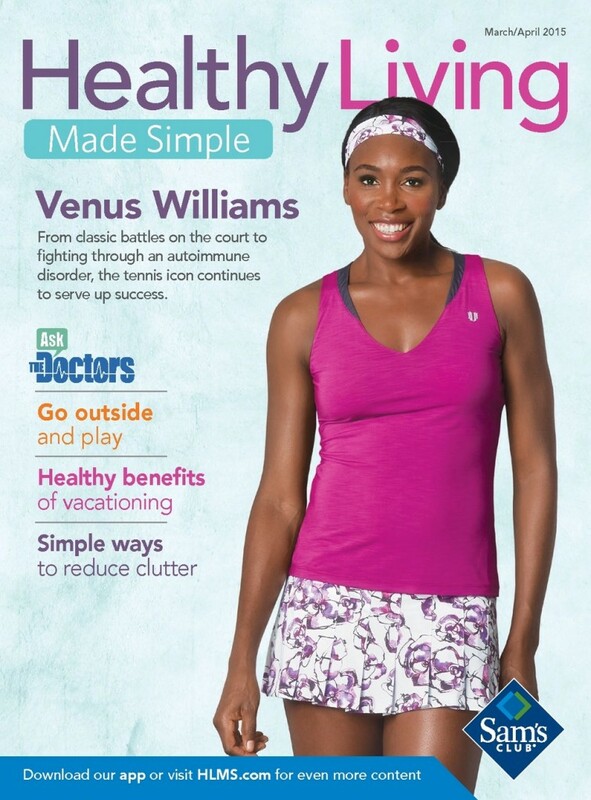 The Healthy Living magazine is available online and comes out every other month. You can find it here. It features articles about every aspect of health including a monthly theme (in April it was allergies in May it’s getting active outside). Sam’s online health magazine also includes information about physical activity, family time, mental and emotional health (stress management, etc.). But back to the health screenings. I know the idea of getting your health examined might make some people nervous so I decided to share the step-by-step process I went through to help show that it’s convenient and not scary at all. 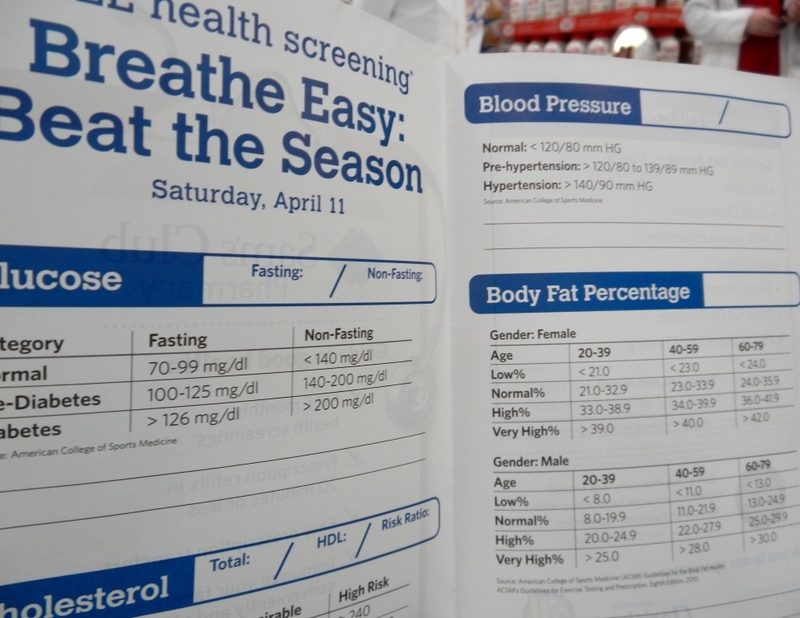 I noticed when I went to the pharmacy section that the screening booth was really obvious and easy to find. They had a sign that explained what they were offering and even told you that if you were paying for these tests that it would cost up to $250. That’s a great savings! 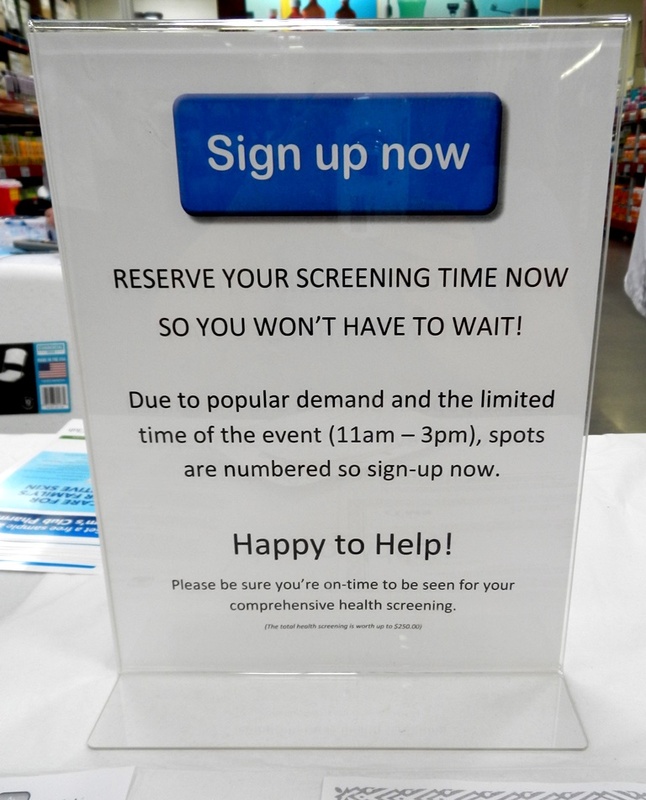 The instructions to sign up for the screenings helps you know when your screening will be so you can either wait or start your shopping. The wait for me was only about 10 minutes and the exam took about 10-15 minutes. SO much less time than you would spend waiting in a doctor’s office. 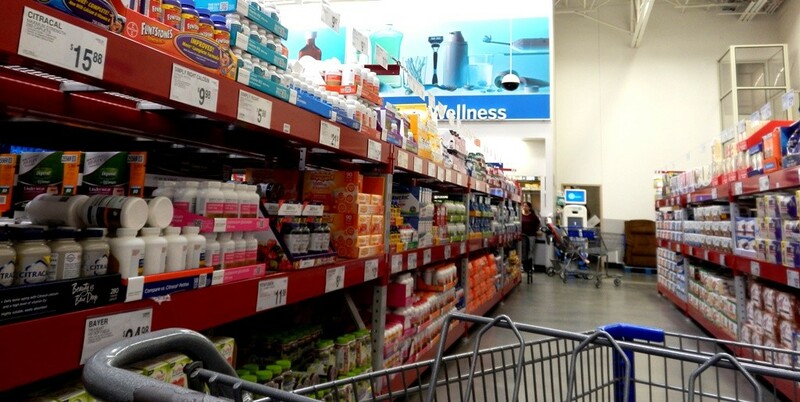 The pharmacy section has a lot of great resources that will help you better manage your health from vitamins to allergy medicine. Your wait won’t be long at the health screenings so I recommend not going far. They also have information available about other screenings and services offered through Sam’s Club that will help make managing your health easier and more convenient. 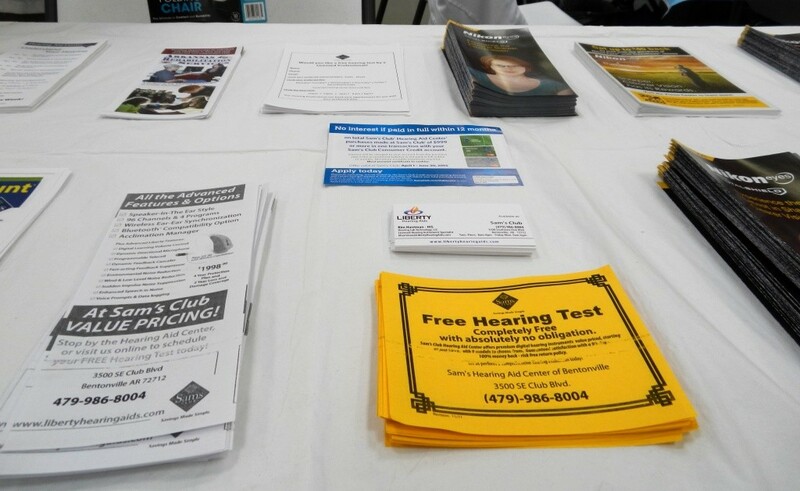 These include vision testing, hearing testing and the great pharmacy they have there. 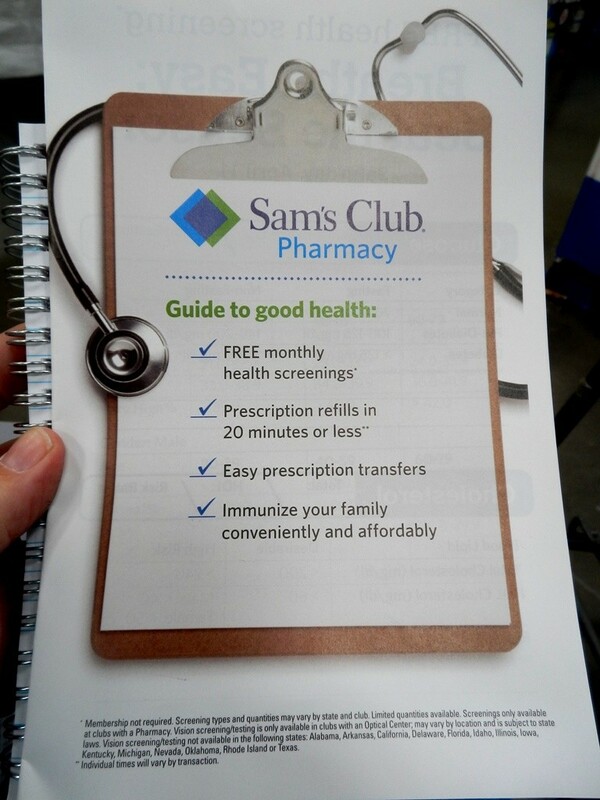 More information about what is available at Sam’s Club that will help you manage your health. When you sign up, you also need to fill out some forms that provides your weight, height and other information such as your address and other contact information. On the back is where they record your readings. They have an easy form that you can fill out with your contact information, weight, height, etc. On the back (pictured) there’s a place for the tester to record all your information. You also receive a document that will be used to list your own readings and it compares it to what normal is and what readings would be a cause for concern. The tests are not meant to be diagnostic-they can be used to indicate a potential issue that you can then follow up with your physician about later. 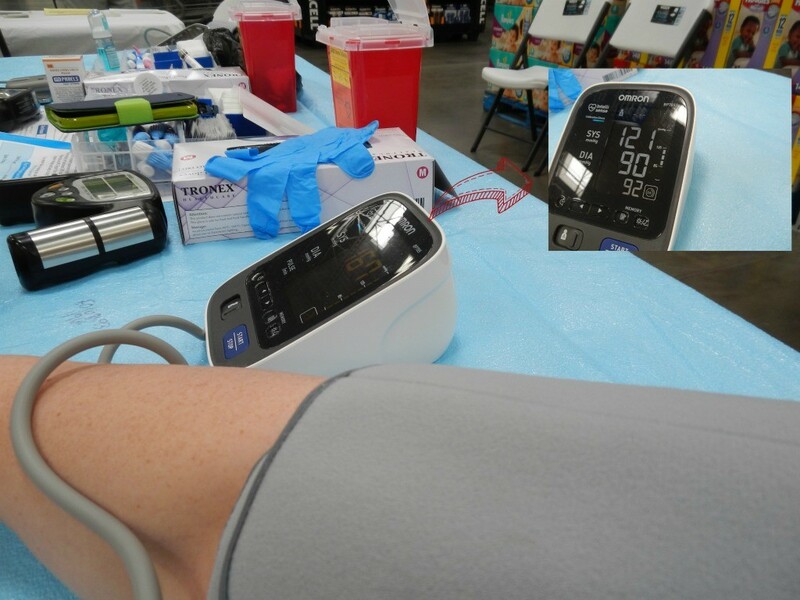 When it’s your turn for your screening, it’s really very simple and almost painless (OK, the finger prick is not fun but it’s so much better than a giant needle that you would probably endure in the doctor’s office). They use the small blood draw to test your cholesterol and blood glucose levels. 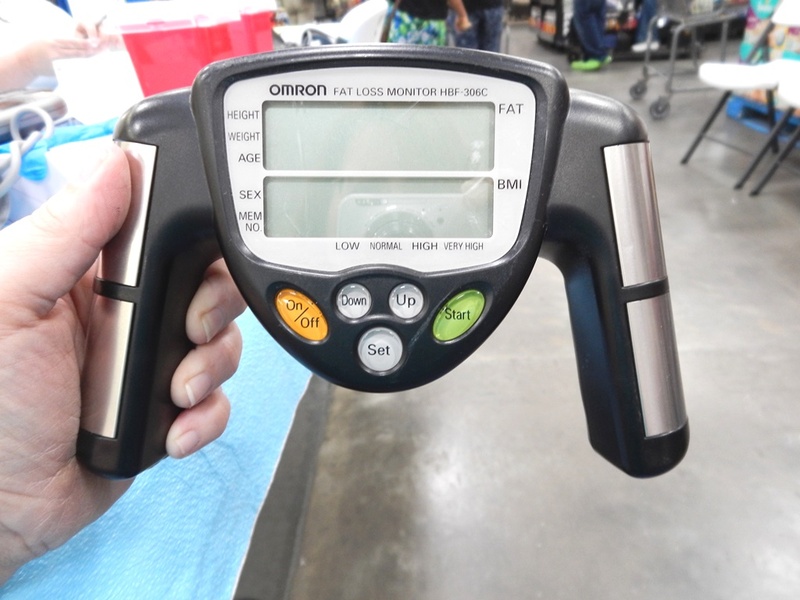 They also test your body mass index (BMI) and your body fat percentage using this neat looking machine and your self-reported height and weight. This device measures BMI and body fat percentage. We discovered that it works best if you can stand up when gripping the sides. You also get your blood pressure taken. I like that they use a real cuff instead of the kind that you put on your wrist. I rarely trust the results of the cheaper BP monitors. As I mentioned before, each month has a different theme but the free screenings are not directly correlated. On May 9, the theme is about getting out and exercising. I strongly encourage you to make that Saturday your “Sam’s run” day and stop for the free screenings. You can learn more about the screenings online. 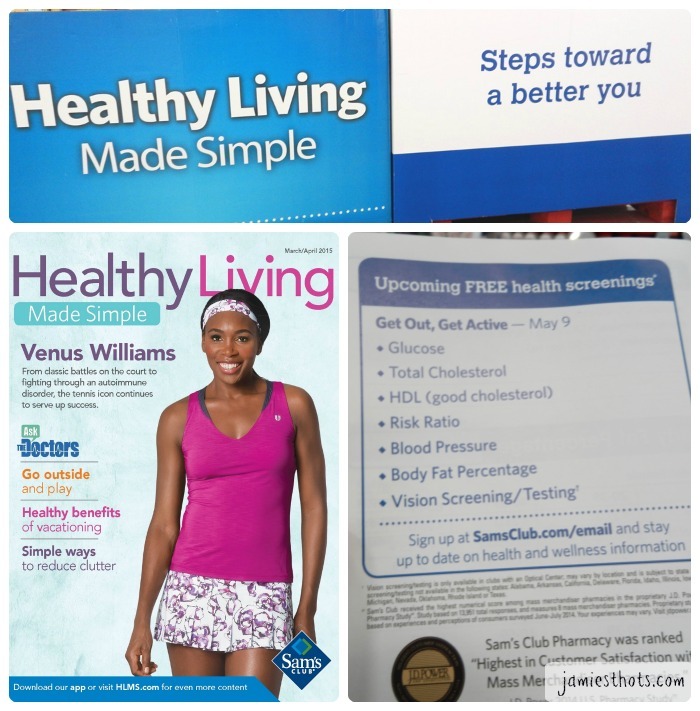 Have you read the Sam’s Club magazine Healthy Living? 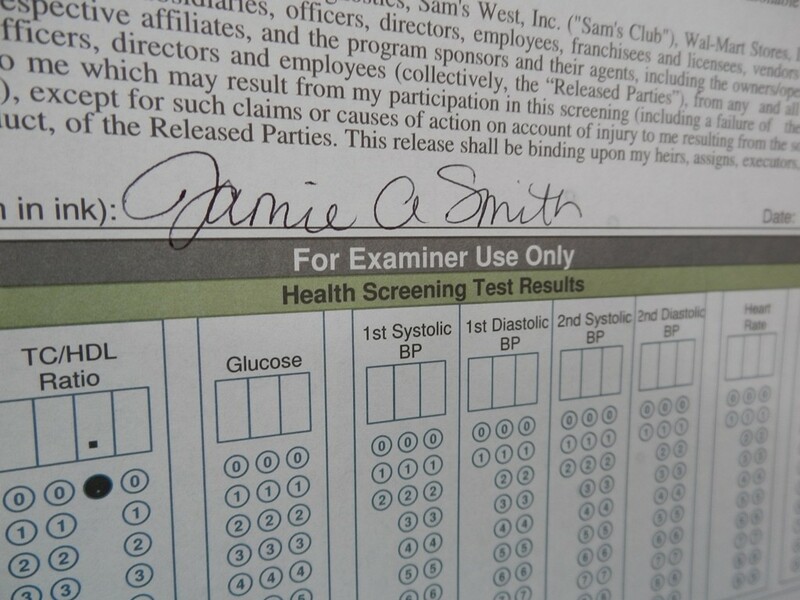 Do you spend too much time waiting in a doctor’s office to get some simple tests done? Consider trying the free health screenings May 9.